On Wednesday, February 14, a 19-year-old male entered a building of his old high school, climbed to the third floor and pulled the fire alarm. As students began to flood the hallways, he began to open fire upon them killing 17 and injuring a dozen more. Police responded to the scene quickly and only had a few short minutes to decide how to approach the deadly events unfolding. In order to give themselves a better idea of what they were dealing with, they gained access to the school’s surveillance system. 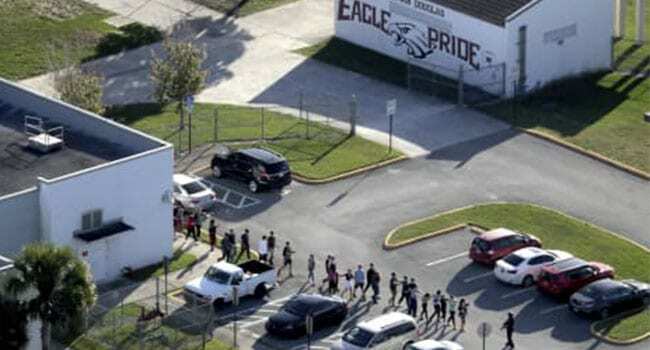 Closed-circuit surveillance cameras helped police track the gunman’s movements through the school that day, giving authorities a way to time stamp when the gunman entered the school, his movements as he moved from the third floor, to the second floor and back again, firing his AR-15-style gun the whole time, and, finally, when he ultimately left the school. The footage, however, was not as helpful in real-time as they had hoped it would be, as the surveillance system played on a 20-minute delay. Officers, FBI and SWAT team members were operating blind as they moved into the school, escorting students out and helping those who were wounded. Footage taken by students inside the school building at the time of the incident will also help police put together a comprehensive time line of the shooting. Several students used smartphone applications Snapchat and Instagram as well as the camera on their smartphones to document the events unfolding around them. Video is the best crime fighting tool that we have, but is there always immediate access to the video system? Does it tell you about potential threats? Or are you using it after the fact like in the Florida school incident? 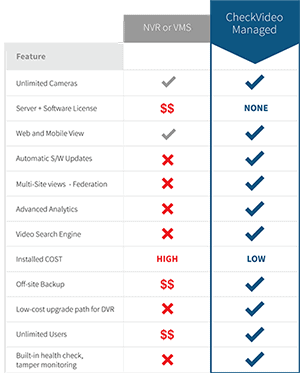 CheckVideo is a state-of-the-art video security solution that works with existing cameras and uses the power of the cloud and video analytics to make your video surveillance system much smarter. Now there is a way to get real-time updates and feeds on any mobile phone and have it provided to every first responder without being at your desk. CheckVideo allows instant access to hundreds of cameras from any location, even outside the building. Watch this video to see how CheckVideo brings the power of the cloud to combine all your different cameras and recorders into a single view. Just like Youtube™, all you need is a mobile device and web browser.